Wrenched apart by tragedy, they’re brought back together by love. 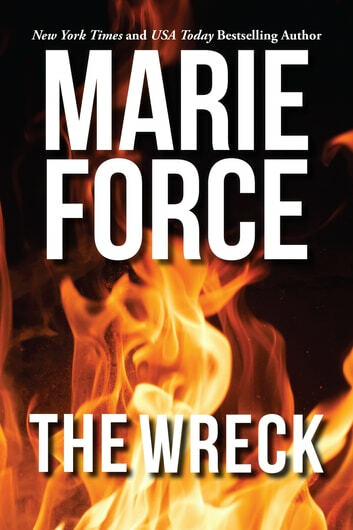 The Wreck is a New York Times and USA Today bestseller! Carly Holbrook and Brian Westbury are weeks away from their high school graduation. The young couple plans to marry before they head to college, and their future seems bright with promise. Everything changes one spring night when their six closest friends, including Brian's younger brother, are killed in a fiery car accident that Carly and Brian witness. The trauma leaves Carly unable to speak, and Brian is forced to make unimaginable decisions about a future that once seemed so certain. With Carly incapable of going forward with their plans, Brian leaves homeand Carlyfor good. Fifteen years later, disturbing new clues indicate the accident that wrecked so many lives wasn't an accident at all, bringing Brian home to face a past—and a love—he's never forgotten. It was a book wih a unexpcted ending. i really loved the main caracters. if you love a book with a happy ending don't hesitate to pick this one. This is one of the most riveting books I have ever read. It seemed that every page added a new element to the tragedy and fear that not only Carly and Brian felt but to whole town as well. This is one I'll be reading many times. Excellent read. Mystery and romance all in one GREAT book! Thank you! Great concept for storyline but somehow ... Other books I like better by this author. Heatrtbreaking though.